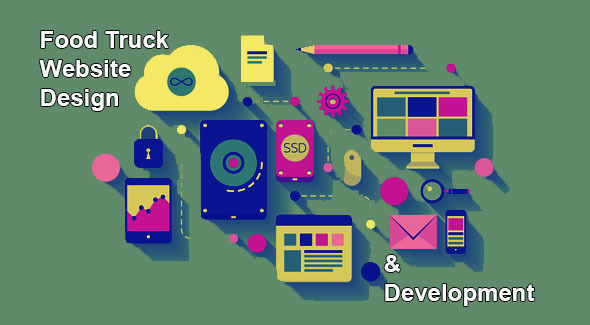 Although the technology available today may make the task of deciding what to do when designing your food truck website can seem overwhelming. There are 10 simple rules to which every food truck website design should adhere to. Over the next few days we’ll go over these 10 rules in detail. In today’s article we will cover the first 5 rules for a mobile vendor to follow when putting their food truck website design in place. Goal Oriented. You should define early how success will be measured. Evaluated Regularly. Metrics should be set and monitored. What to measure and not manage. Content Focused. Graphics count early on, while content counts always. Extension of the Company’s Offline Operations. Content and functionality should be consistent and integrated with the company’s “brick and mortar” activities. Living Organisms. Constantly updating an adapting to a company’s objectives. Work Properly. When a user is greeted by an error page on the Web, you don’t get a chance to apologize or offer alternatives. Search Engine Optimized. Many other aspects of site should take precedent. Engaging. Intuitive graphical interfaces are a must. Fast. Speed of download and ease of navigation to quickly find desired information are key factors to keep in mind. Connected to Other Marketing Tactics. This includes opt-in email marketing campaigns. Setting goals for your web site may be the golden rule. Frequently, site designers do not think past getting the web site to reflect your brand or business identity. It is important to go much deeper than that and determine how success will be measured. Ideally, the success metrics reflect what the target audience for your web site considers useful. The definition of what success is should come from the very audience being targeted. Engage them to ask how they would like to see your web site organized; what information they need; what tasks they want to accomplish? These days, there are inexpensive ways to collect feedback from visitors to your current site or from your client base as a whole. For example, users may tell a food truck that it is important to have the latest menu items and their ingredients available. Therefore, your website may have downloadable menus and ingredient breakdowns that are easily accessible and something your visitors can review to make sure your truck is somewhere they would like to eat from. The invitation to download too hidden? Is the download feature “broken”? Is the menu appealing or should it merely be a static display on your site? Evaluate, then use the data to make assumptions, tweak, and evaluate again. Remember, once you establish a base, your focus should not be on absolute numbers, but on improvements made from period-to-period. Continuing with the example above, the “tweak” may focus on content by enhancing the topics covered in the ingredient list (nutritional data, if they are local or seasonal). Content is one of the best places to start a site improvement project. That’s because the wow appeal of graphics and other non-content, non-functionality focused bells and whistles is not long lasting. Content is king. Graphic appeal can enhance the impact of content, but cannot make up for lack of content. Content will carry the day 99.9% of the time. Your web site should represent the food truck’s offline operations and be strategically linked to offline activities. You just cannot have an isolated team or person working on the website’s content. You have to have multi-functional, multi-departmental input. Not to say that your food truck website design should be managed by committee. Ideally, you need a person responsible for making decisions and accountable for results. That person should possess access to key people, so the site reflects the right product marketing, sales, and corporate communications messages. 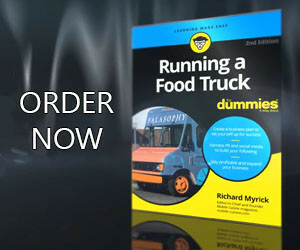 Just like your food truck business, which is always changing, promoting, creating, hiring, so should your web site. Wine ages well, websites, do not. So, make your site dynamic. Before embarking on changing the current site, we suggest some thought be given to how the revised site will be kept evolving. A process of monthly content updates, at the very least, should be put in place. This commitment to updating content on a regular basis can be leveraged to drive traffic to the site through automatic e-mail notices sent to registered visitors to notify them of relevant changes. We hope you found these rules to be something your website already follows, however, if they do not, we would suggest working on these areas as soon as possible so that your site helps to promote your food truck operations and does not hinder them.